Okay, how cute is she!? 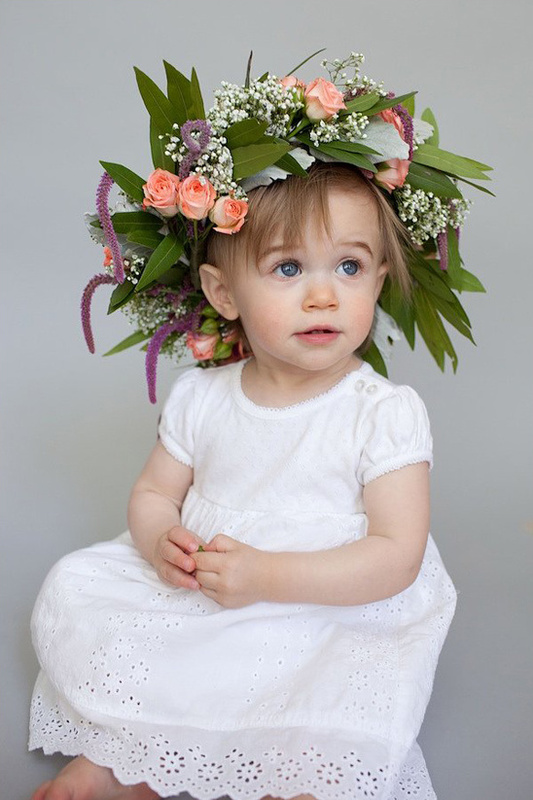 This adorable little model had us "Ooo-ing" and "Aww-ing" all the way through this post, how about you? 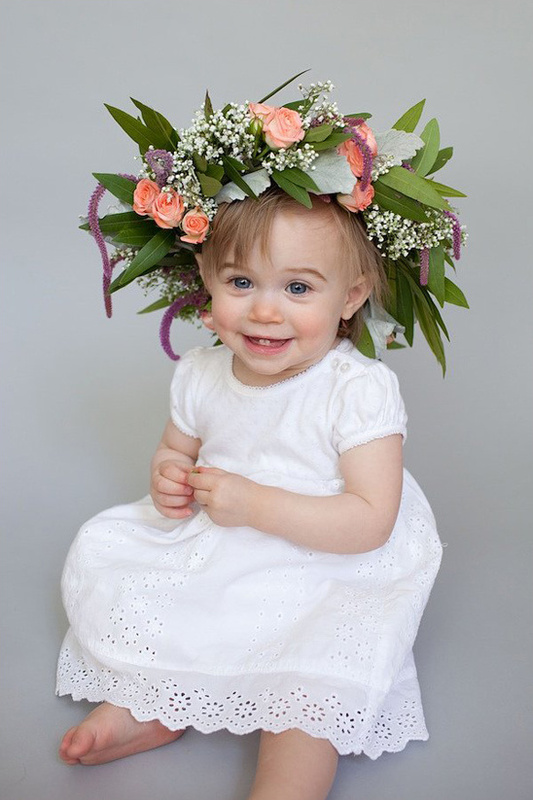 Well, now your flower girl can look just as cute as she walks down your aisle with this fun floral crown DIY created by A Splendid Occasion and perfectly captured by Natalie Probst. So keep on scolling WC fans, we know you are dying to see more! 1. Assemble the crown frame Start by measuring your head to get an idea of how large your crown should be. 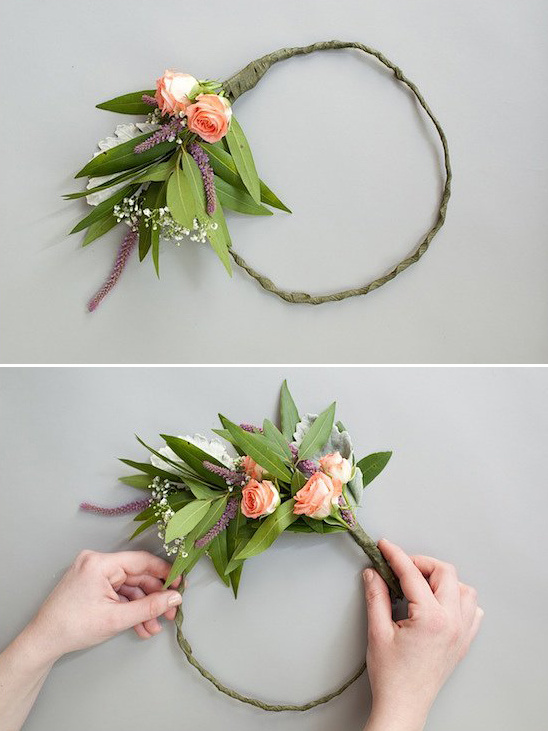 Add an inch or two to your total for the addition of the flowers. 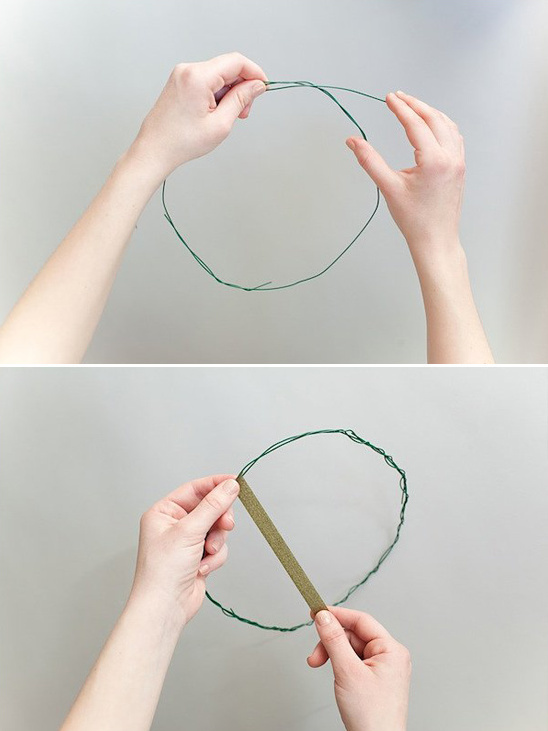 Shape your wire into a circle and reinforce with several layers of wrapped around wire until sturdy. 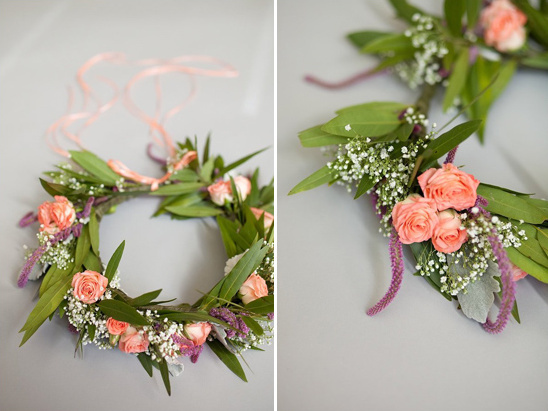 Cover the wire with floral tape one or two times around. 2. 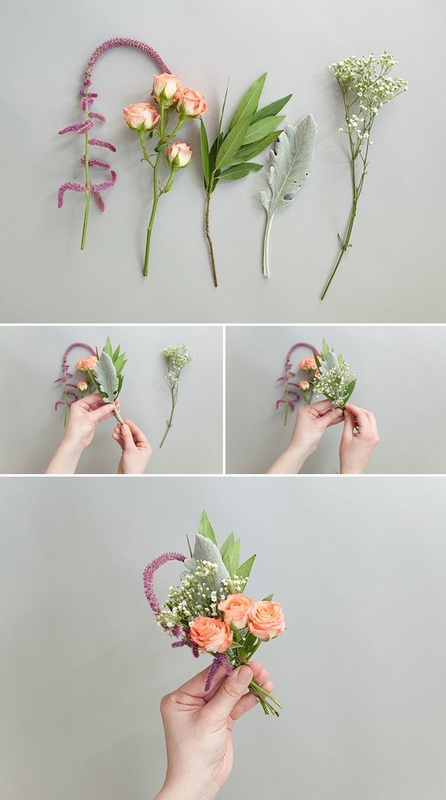 Flower Prep Cut each of your flowers so that the stems are no longer than three inches. 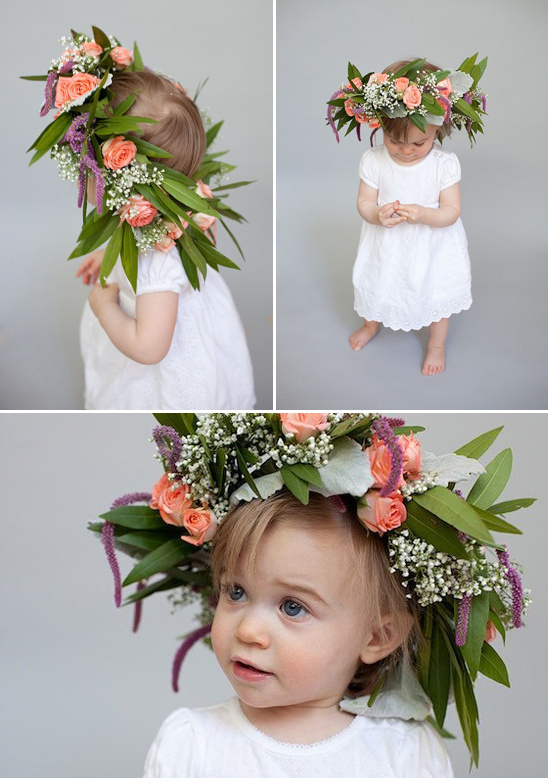 Begin by putting together bundles of flowers to place on the crown. The bundles do not need to be exactly the same (8-12 total, depending on your size). Mix it up but including different textures and colors. 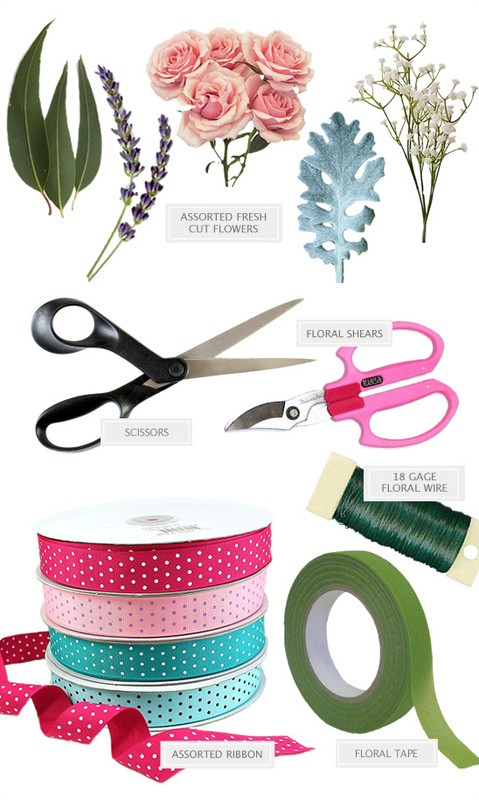 Secure the stems with floral tape. 3. Securing the flowers Take each of the bundles and lay them out in a circle, overlapping, until you get your desired look. Once you have achieved this, start to add them to the wired frame. Grab the first bundle and place it on top of the wired frame. 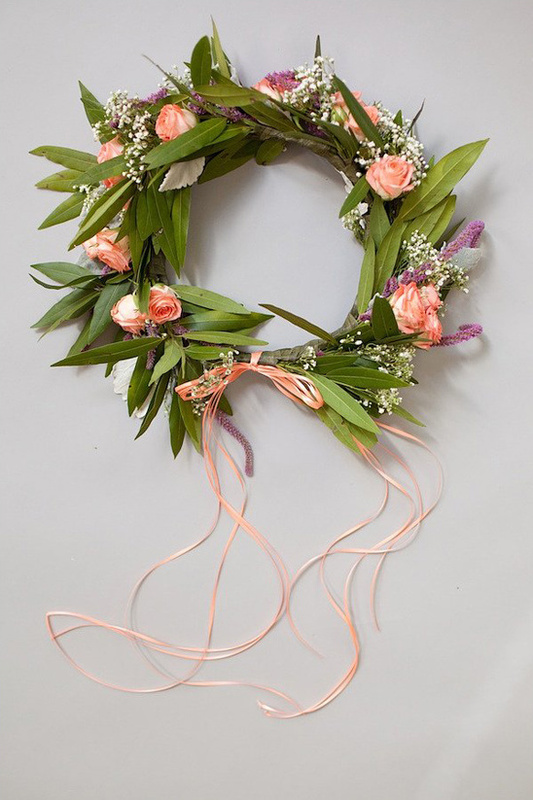 Secure it to the frame with floral tape until sturdy. Take the second bundle in line and place it next to the first. 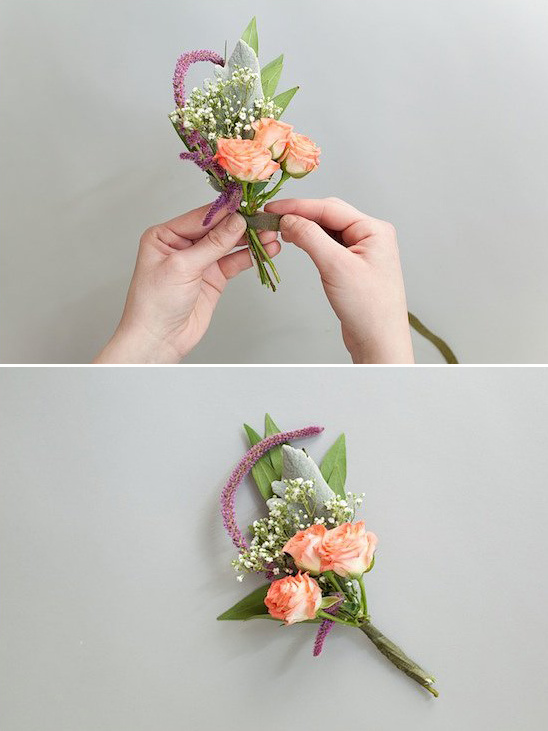 Make sure to put it very close to the first, or at least enough to cover the mechanics of the stems. Continue this process the entire way around. 4. Embellishing Once you have used all of your bundles and have made it all the way around the frame, you can embellish with a coordinating ribbon. I left about an inch of space in between the first bundle and the last for a bow. Grab your ribbon and tie a bow! Leave a little length on the ends for a romantic and flowy look. Viola!